Primates are complex, intelligent and social animals with highly specialised needs. They can profoundly suffer in captivity. For these reasons among others, they should not be kept as pets. Born Free wants to make sure that responsible owners of companion animals do not inadvertently support the trade in primates as pets. We are asking you to pledge to avoid shopping at pet stores that sell primates. So, when you're shopping for dog food or a new cat bed, keep an eye out for marmosets, tamarins, lemurs and any other primates for sale — and if you see any, take your business elsewhere! 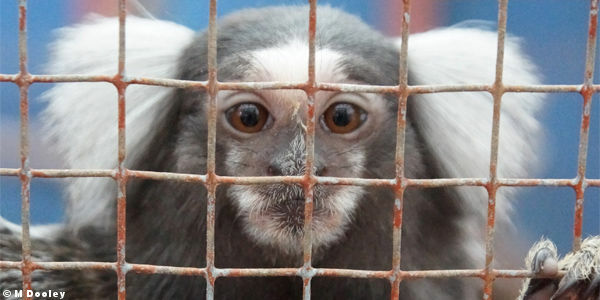 Let's work together to ensure that primates are kept out of the pet trade. Avoid supporting the trade in primates as pets by pledging to not shop at pet stores that sell primates.